First! Thanks to the organizers, and specially the attendees as they waited patiently to the attend my last session of the day “Working with SQL Server for Linux Cross-Platform”. It proves to be good. Love their interaction and the will to embrace technology. As, I almost didn’t make it to the event, due to car problem, I one my coworker gave me ride to the event at Nova Southeastern University. I missed giving the early session “SQL Server working with PowerShell and Python” so I ended up merging both sessions into one. For my surprise, the last session went better than I expected. I ran everything from Azure Cloud which work like a charm, and the attendee were awesome. Both presentation and all demo scripts were uploaded to the SQLSaturday #627 event site. I hope you all take advantage of the resource link I provided. 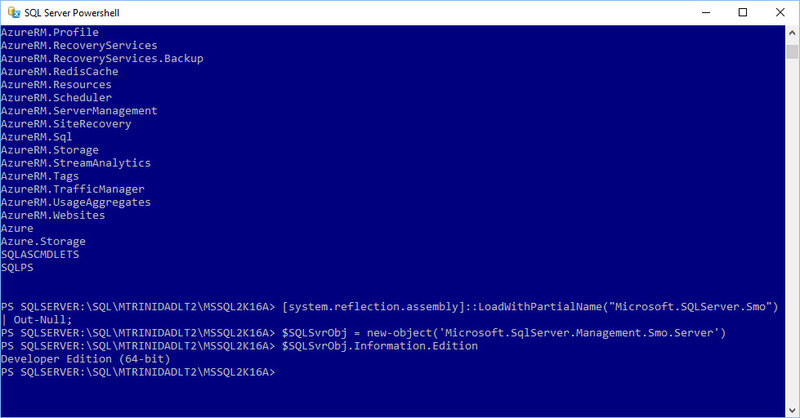 * In Windows, using SSMS to restore a Windows Database into Linux SQL Server. 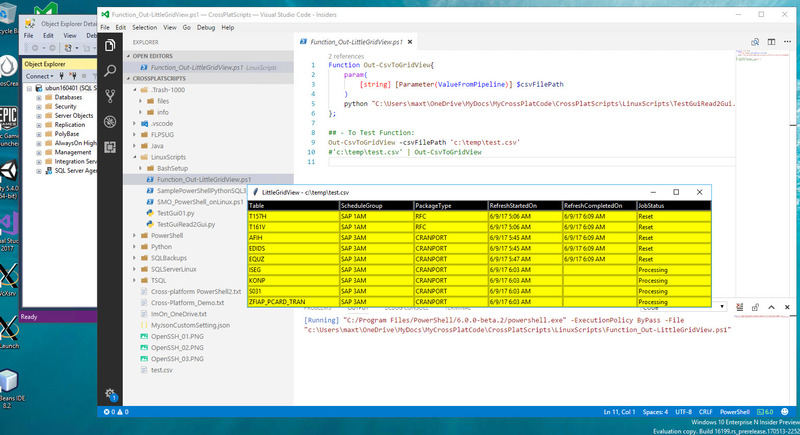 * Sample script using Python tk (Gui) w/pyodbc (SQL connector), and PowerShell displaying PowerShell object in a Gridview. * Using SMO in Linux with PowerShell. And, we did covered a lot in a short time. Once again Thanks to everyone! I’ll see you all in Orlando SQLSaturday #678 on October 7th! 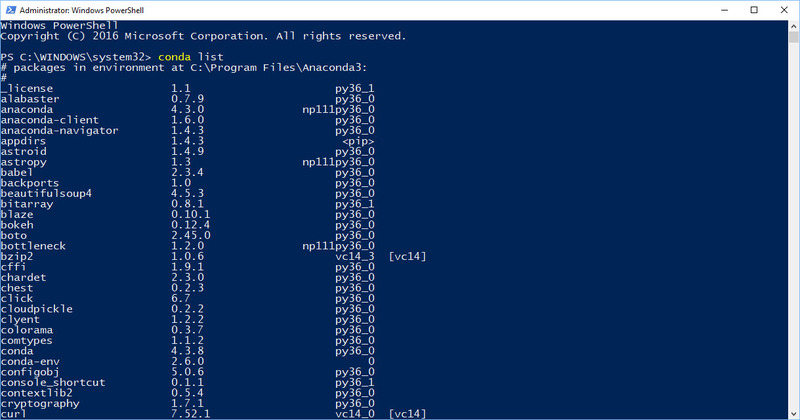 On my previous blog “PowerShell – Working with Python and SQL Server“, I show how to install Python 3.5 so we can be build python scripts to connecting to SQL Server and use them with PowerShell. Now, since the release of SQL Server 2017 and the integration of Anaconda (ie. Python 3.6), we need to know what it takes to successfully install Anaconda on your developer system(s) both Windows and Linux. In Windows the installation is simply done through the SQL Server 2017 setup process. 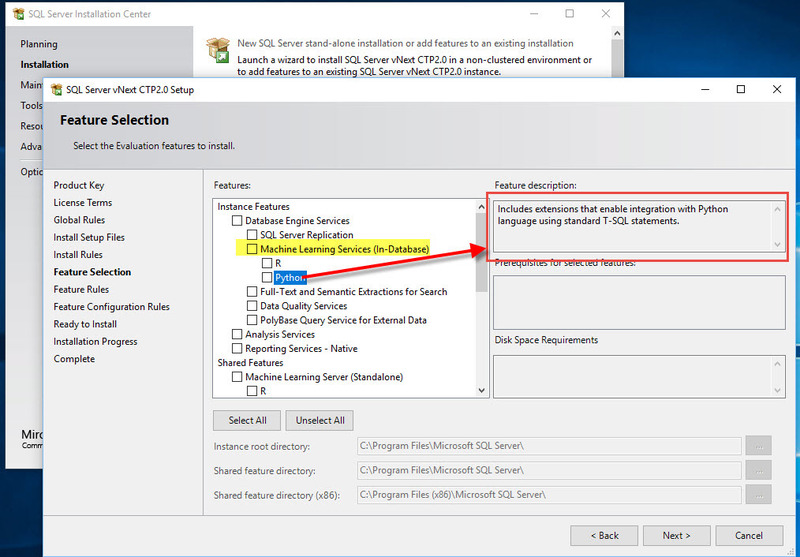 During the SQL Server installation process, select the “Machine Learning Services (In-Database)” option and this will automatically install both “R” and *”Anaconda” on your system. *Note: Installing Anaconda (Python 3.6) will redirect any previous version of Python to version 3.6. So, you may need to manually revert back to use older version. 4. Enter “Yes” to Accept the license agreement. 6. Then, you can select the location where Anaconda will be installed. The default is the user home folder. 5. Add the Anacona path to user profile in the “.bashrc” file by answering “Yes” and this will force to open Python on version 3.6. 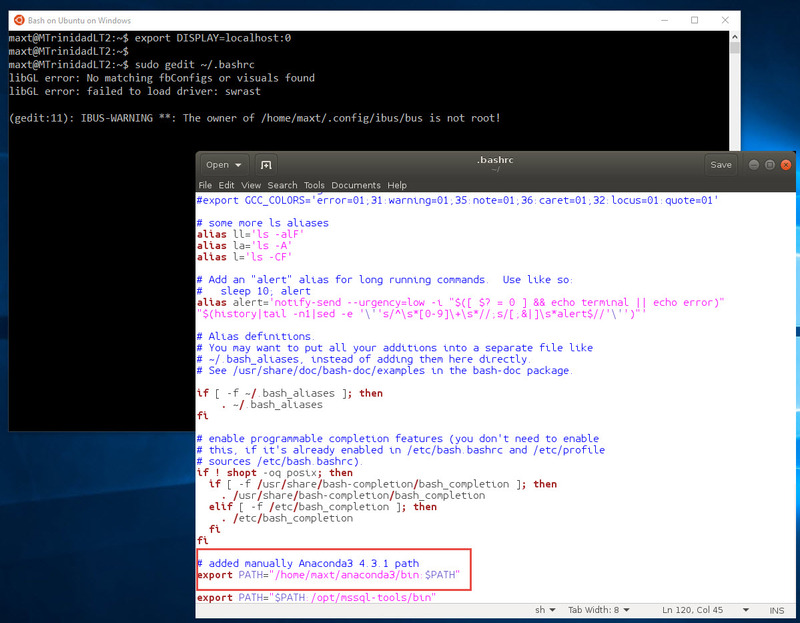 If you want to use any previous version, then you’ll need to manually type the PythonX.x executable. 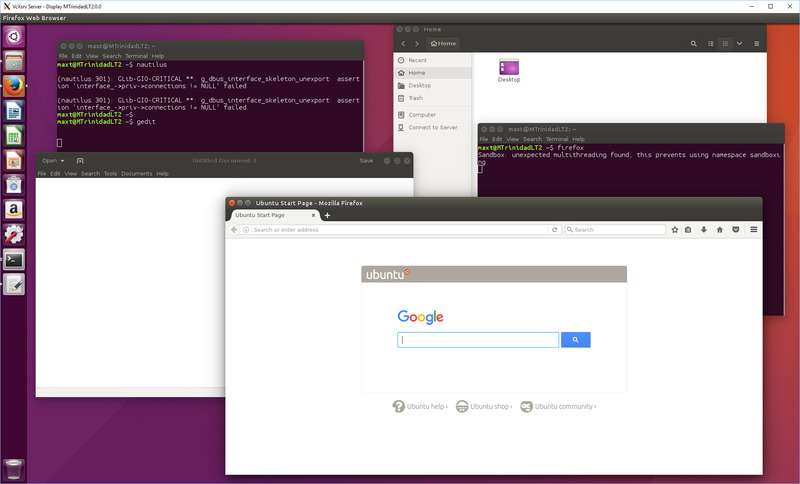 Try the following commands to open other versions of python previously installed in Ubuntu: python3.5, python2, or python2.7. *Note: These steps can be applied to WSL Windows 10 Bash. You could also setup the “update alternatives” command to swapt between the different versions of Python. This command need to be executed under super-user privilege “sudo su“. Remember, in Ubuntu Linux, the system default version of Python is 2.7. It would be a bad routine, when using the “update-alternatives” command, to change back to the default version as all running scripts during the system updates will need run on Python 2.7. During the Anaconda installation, you’ll notice that it will load lots of python packages for data science and including “tk” which provide the ability to create GUI applications. But, there’s one package missing, “pyodbc” will be needed in order to create python scripts to connect with SQL Server. Strangely enough, this error is only on Ubuntu Linux and not Windows installation. 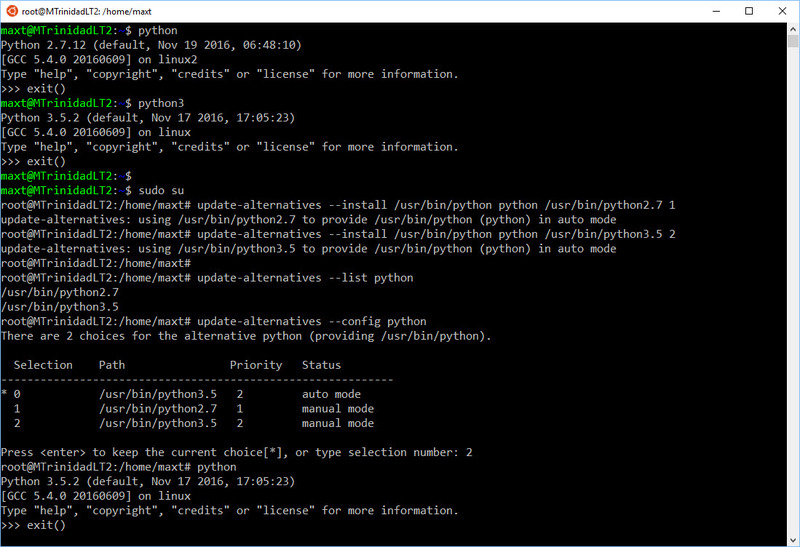 So, Python 3.6 will work on Windows to build your scripts to work with SQL Server while Microsoft and/or Anaconda figured this one out. *Note: This sample connection string to SQL Server is done thru SQL Server Authentication. This is only available in SQL Server 2017 and SQL Server Management Studio v17 with the feature of integrating Anaconda (Python 3.6) with SQL Server is to be able to execute the python script(s) from SQL Server Stored-Procedure. The following steps need to be complete to enable SQL Server to execute Python scripts as an external script from SSMS SQL Query or within a stored-procedure. 2. Then, SQL Server Service will need to be restarted for the changes to take place. Unfortunately, I haven’t been successful to run the SSMS SQL query connected to a SQL Server on Linux. So, apparently there’s still a limitation in Linux. So the main purpose of integrating Anaconda (Python 3.6) with SQL Server is to be able to execute the script from SQL Server Stored-Procedure. But, one of Anaconda installed packages is ‘tk‘. The ‘tk‘ package allows you to create GUI application in Python. This opens opens opportunities to develope and integrating some solution with PowerShell. For example, PowerShell v6 Alpha doesn’t have the Out-GridView command available yet. So, here’s a raw with limited functionality of a python Out-GridView look-a-like. The following sample code will access some data from SQL Server, use PowerShell to manipulate the information, and then use Python ‘tk’ component to display it in a GUI datagrid. As you can image, there’s a lot of room to grow for integrating technologies such as PowerShell and Python. Just be creative! PowerShell – SQL Server Management Studio v17 is Ready! Yes! The SQL Server Management Studio Version 17 is available for download for the purpose of managing the new SQL Server 2017, Azure SQL Databases and Azure SQL Data Warehouse. 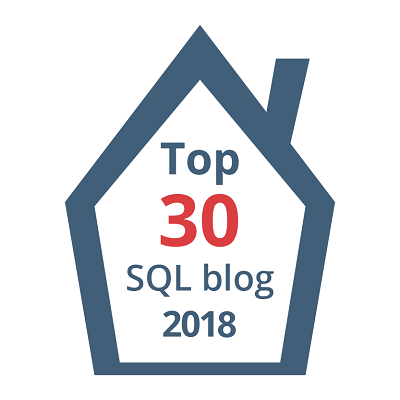 At the same time this version won’t prevent you from working with older SQL Server such as SQL Server 2000 and SQL Server 2005 but there will be some features that won’t work. Please know the limitations! Now there are a few things, you should be aware. This version depends on Visual Studio 2015 with the update KB3165756 installed. I ended up crashing SSMS when I made the mistake of uninstalling Visual Studio 2015 to make some room for the Visual Studio Preview. 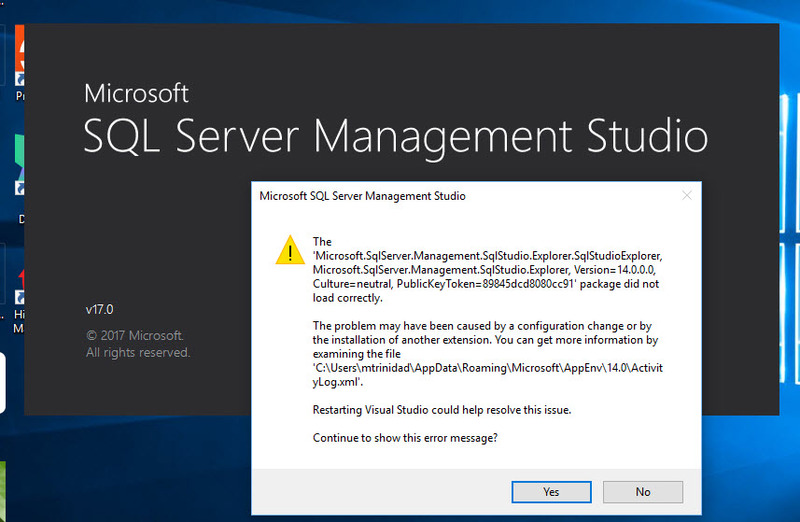 Here’s the SSMS error message that will popup and made my application useless. 3. In my case, I installed the Visual Studio 2015 Shell only. 4. Search and installed the Visual Studio 2015 Update – KB3165756. 6. Just to make sure, open Visual Studio 2015 and verify the update was installed. 8. Install and restart system. 9. Open SSMS v17 and verify there are no errors. Apparently, there are strong dependencies in SSMS with Visual Studio 2015. Now, there are a few changes from previous SSMS Release Candidates in regards with PowerShell SQL Server commands. 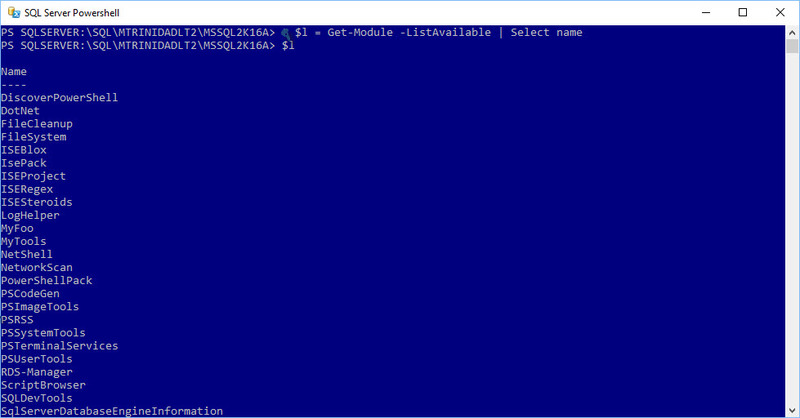 As the new PowerShell “SQLServer” module is no longer included with SSMS v17. But, you still get the SQLPS module. One requirement for using PowerShell “SQLServer” module is to have PowerShell Version 5.0 or greater. Make sure that after you complete the installation, close and open another PowerShell session. Now, you are ready to work with both SSMS v17 and the new PowerShell “SQLServer” module. 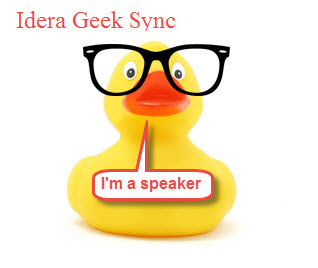 PowerShell, SQL Server, and Linux Oh My! 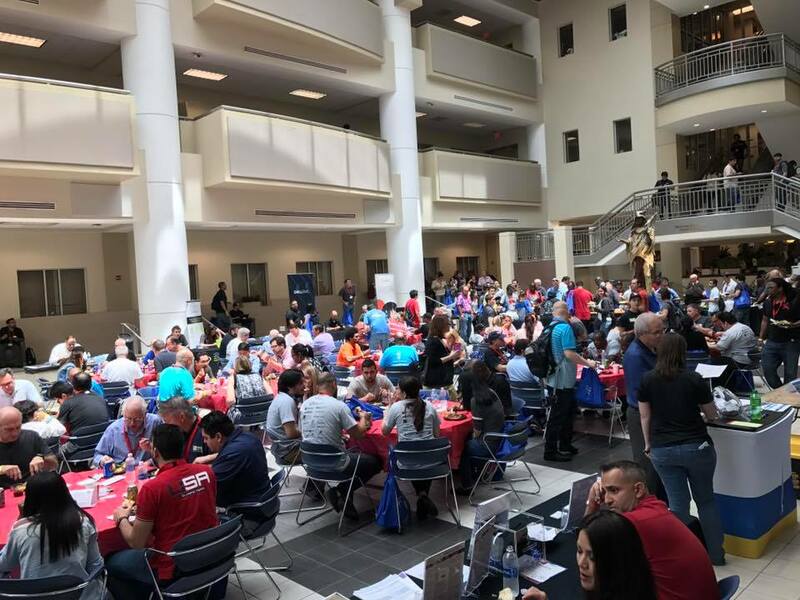 The South Florida Code Camp 2017 is ON! Come and join me in this event on Saturday, March 11th 2017 all day event. 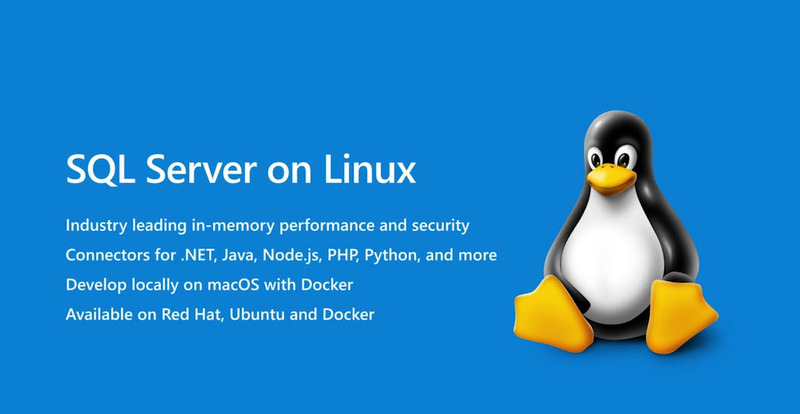 I will be showing the latest build of SQL Server vNext for Linux. Everything you need to install and connect to SQL Server. 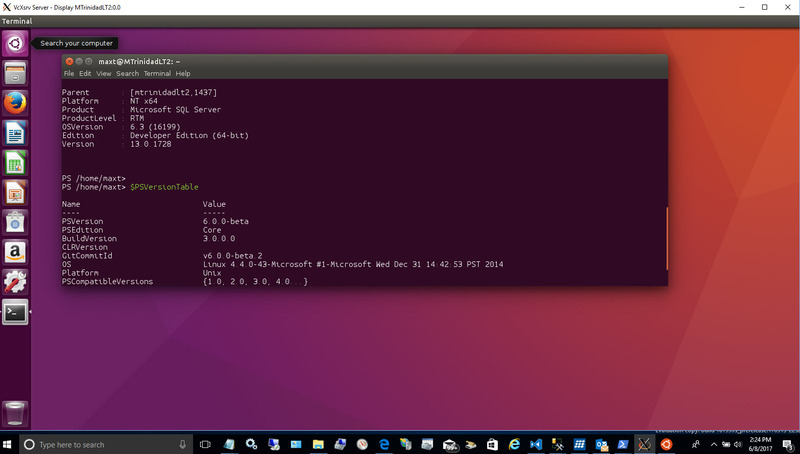 Then, what tools are available to use from either Linux and Windows. 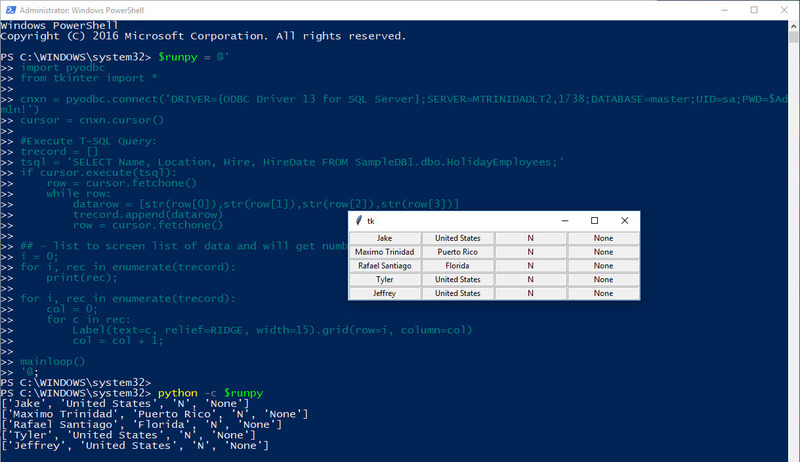 Sample on querying for database information using Python and PowerShell between two environments. This will be a demo intensive session. 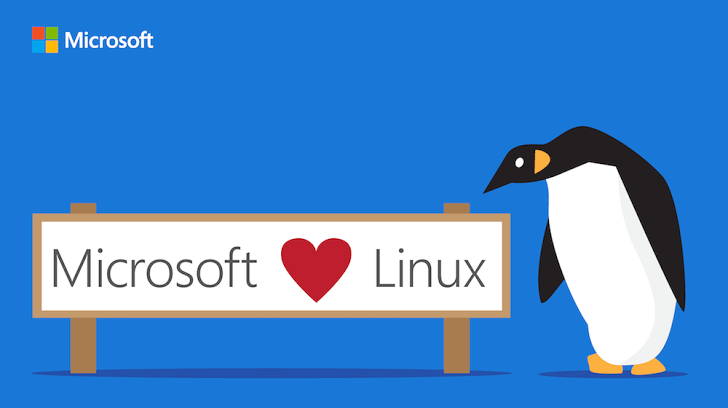 We’ll be taking a tour into Windows 10 Bash Linux subsystem. I’ll be sharing some tips on how to work with Bash, and the workaround to make PowerShell in side BASH. This is the perfect environment to start learning about Linux while you work in windows. We’ll be take advantage of how-to use cross-platform Open source product(s). All this and more from Windows 10. PowerShell is Open Source now! Come see how you could use PowerShell cross-platform between Windows and Linux sharing scripts to assist in admin task automation. I’ll be walking on how to make this work with existing tools. 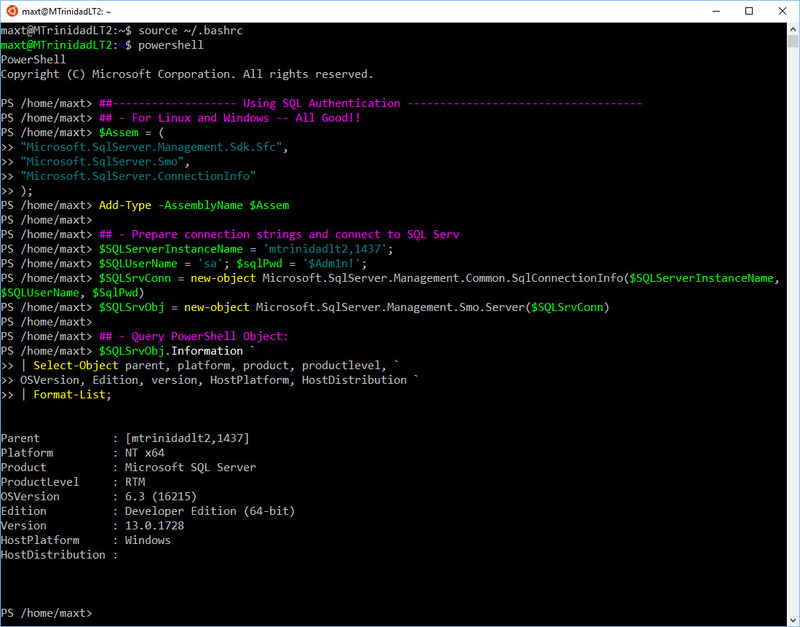 Also, interacting with SQL Server for Linux. 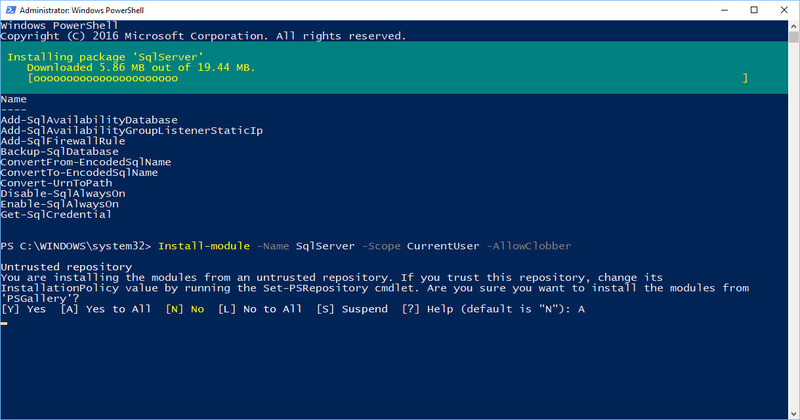 Can you run PowerShell in SQL Server Management Studio? YES! Just to be clear!! 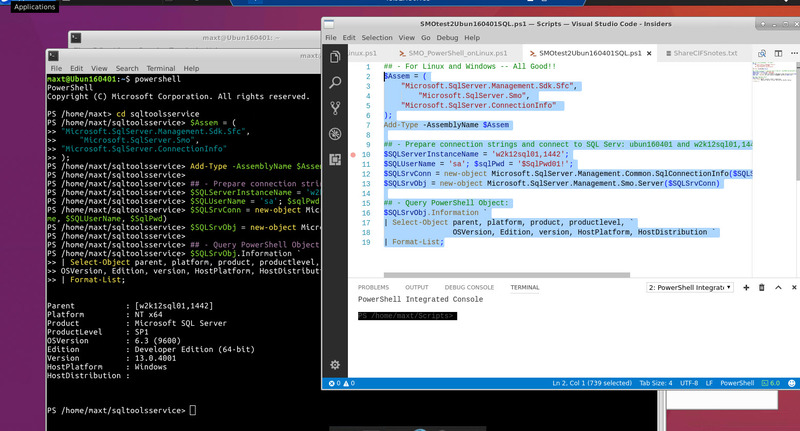 You can run PowerShell in SQL Server Management Studio. Not only you can run PowerShell, but you can create scheduled jobs in SQL Agent to run PowerShell scripts. This has been available since SQL Server 2008 (before R2). And, this is a lot better now, as each version are finally providing more “SQL PowerShell cmdlets” to manage your SQL Server in their *”SQLPS” PowerShell module. *Note: SQLPS Module was introduce with SQL Server 2008. By the way, DBA Reports is owned by Rob Sewell – @sqldbawithabeard. Great Work!! So, YES! 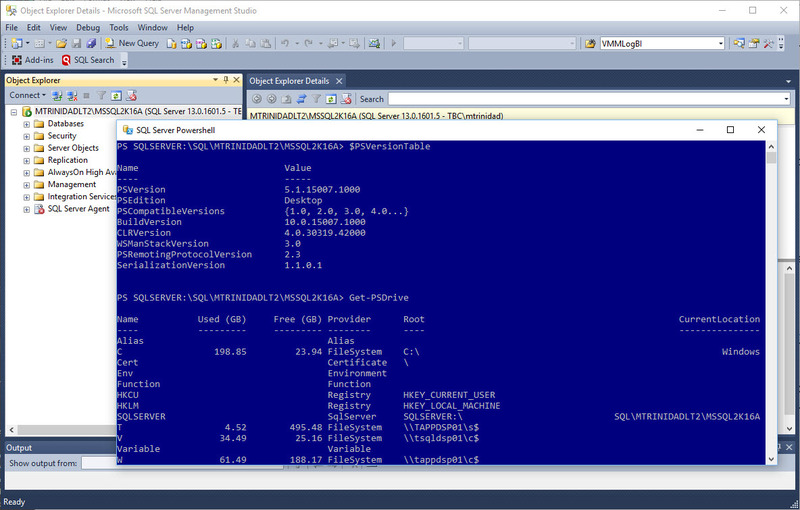 You can run PowerShell from SQL Server Management Studio. You can Right-Click on most of the SQL Server objects under “Object Explorer” and look for “Start PowerShell“. This will open the PowerShell prompt and you are ready to start your adhoc scripting. Keep in mind, on the latest version of SQL Server (< 2012), the SQL PowerShell module (SQLPS) is loaded and already available. This will create a SQL Server Drive connecting (in this case) to your local instance installation or whichever instance you’re connecting to. 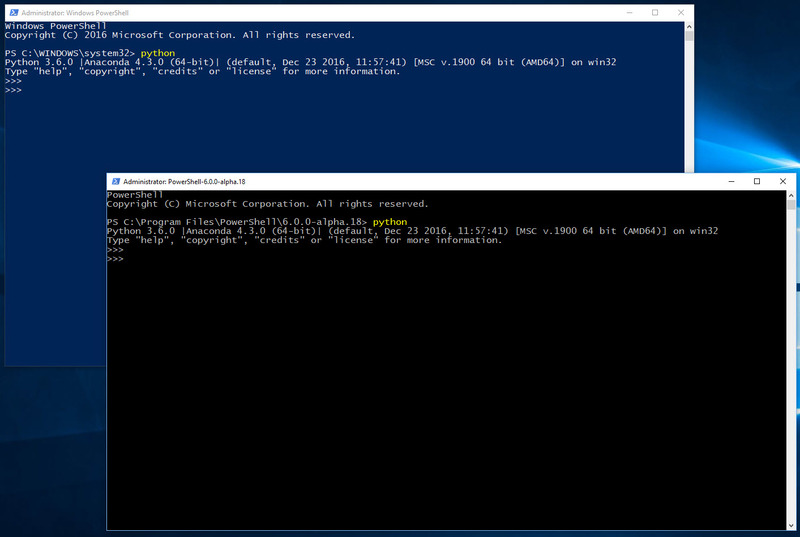 Notice, in my case, the above image will open a PowerShell prompt and is using PowerShell version 5.1 which is part of my Windows 10. The same will be true on earlier OS version of PowerShell. The “Start PowerShell” will open the current PowerShell version installed on that machine. Another thing to understand, although you already have a set of available cmdlets to manage your SQL Server, you can still expand and build more script with the use SMO (SQL Server Management Objects). So, the possibilities to build your own solutions are endless. All SMO .NET assemblies are loaded into your system when installing SSMS. This is why you rather use the normal PowerShell console and start using the SQLPS module. 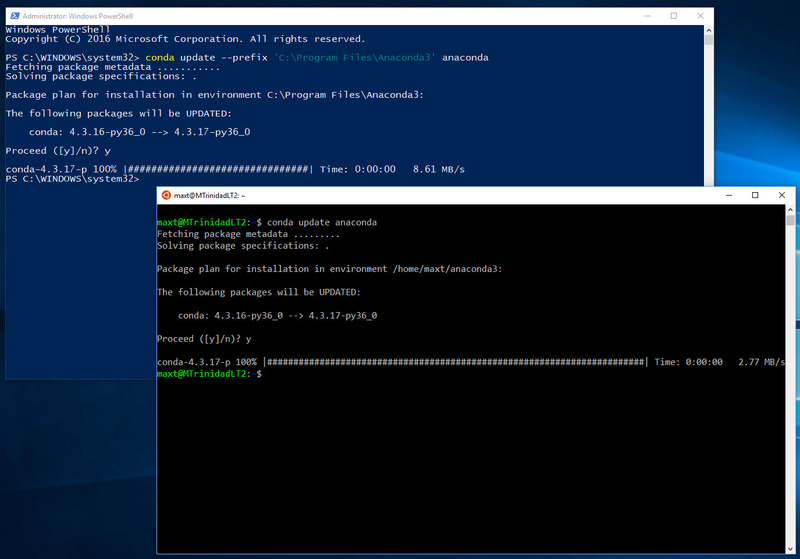 Keep in mind, that since PowerShell 3.0, all existing installed modules are automatically loaded and ready to use in your PowerShell session. How do I get SQL PowerShell? Simple! 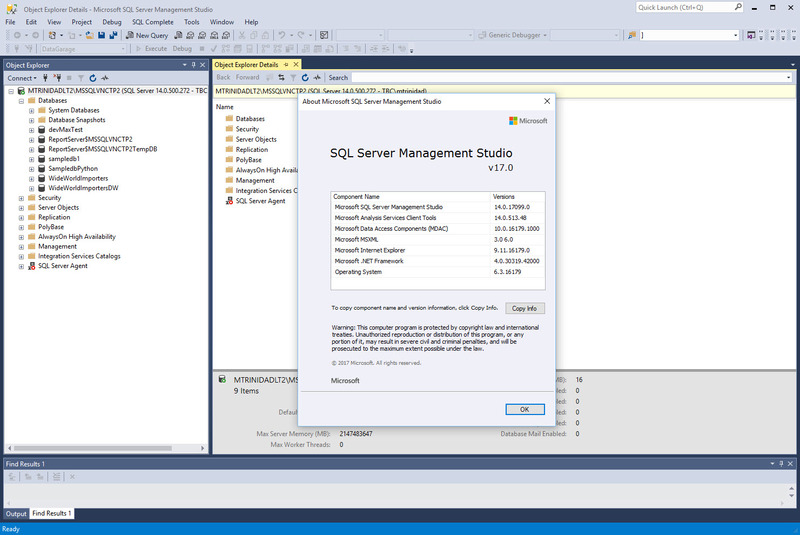 SQL PowerShell comes included when SQL Server Management Studio(SSMS) is installed. For sometime ago SSMS (SSMS 2012) has been available to install separately (free-of-charge). As a matter of fact, you could install three separate SQL Server Features components without the need of installing SSMS and start scripting against your SQL engine. Note: Microsoft SQL Server Management Objects requires – Microsoft SQL Server System CLR Types, that is available on this page. **Note: This can apply to desktop/laptop is you don’t want to install the whole SQL Server CD. As long as, you have remote connection to a SQL Server system, then you just start building scripts. You will save some disk space too. Description: Just as PowerShell is argued as the main technology for automation in Windows Datacenters Infrastructure, it is equally important in other non-Windows Operating Systems. 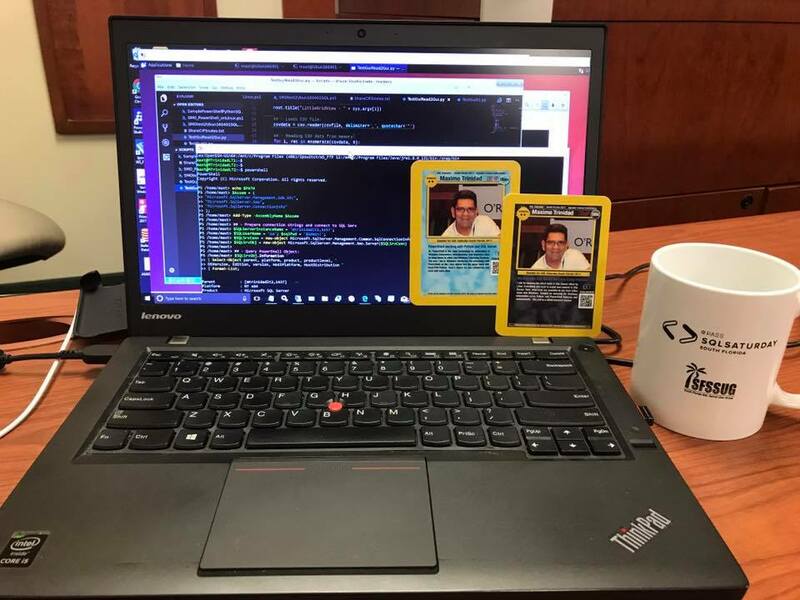 According to Maximo Trinidad, Windows Administrators have an advantage working with PowerShell just as Linux Administrators have an advantage with Bash / PHP / Python. Description: Come and learn how to setup and use Bash On Windows 10. Learn the tips and tricks to use PowerShell and Python together. At the same time, there are some differences in working with script files between Bash and Windows systems. We’ll be seen how to use efficiently use Windows apps with Python scripts on Bash. Lots of demo!